Running two amps at once opens up a whole new spectrum of tones, and a whole new host of problems. Ground loops and phase discrepancies are the usually culprits for noise and thin tone when using a dual amp rig. The Lip Splitter is a mightily buffered ABY box, with ground lift, over spec’d transformer isolation, and polarity flip on the “II” channel. Big ol’ 8mm LEDs let you know which channel you’re on and which you’re switching back to when you come out of “III” or both mode. If you’re in the market for an ABY box, the Lip Splitter is a great device with great looks, too! All Nerd Knuckle Effects are handmade in Boston, MA inside and out. 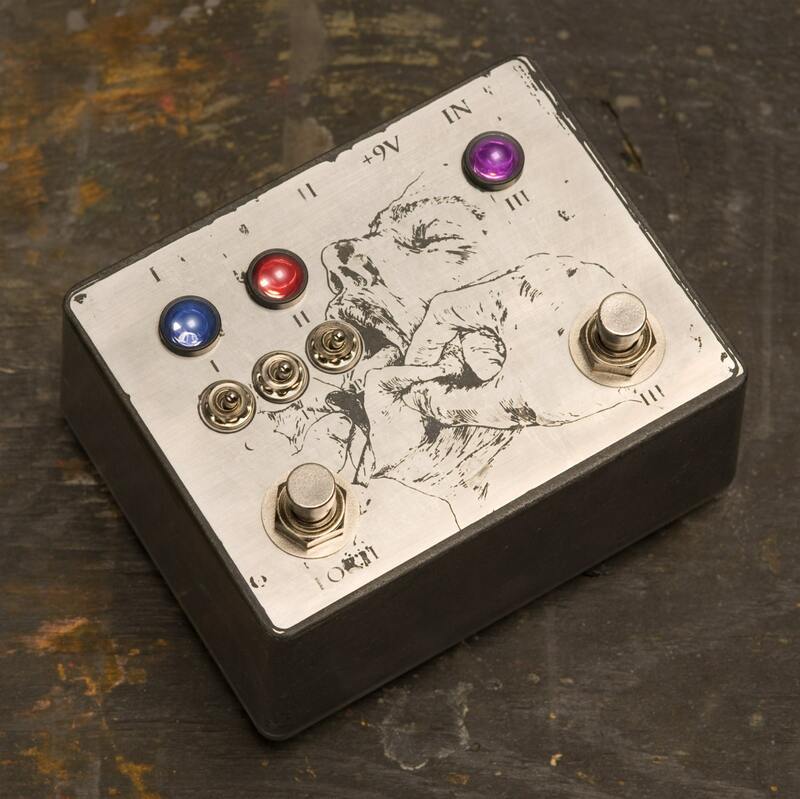 Because of the etching process used on the cases, your pedal will look slightly different than the one in the image. For an up-charge of $30, the etch, sides, and back can be painted in the color of your choice. All Nerd Knuckle Effects pedals are warrantied for life against manufacturer defects. We accept Credit Cards and Paypal. Payment is expected within 24 hours of purchase, unless other arrangements are made. Layaway is totally an option. Get in touch, we'll do what we can to get you the pedal you want!